Does your dog bark at everyone he sees? Are you trying hard to settle your dog on frantic, noisy walks? Do you live with canine reactivity and wish you could turn things around? Are you looking for a solution and guidance to properly help your worried best friend? Written by a long-term dog behaviour specialist and founder of Canine Principles, canine education provider, this book will provide all the understanding you need. Every year millions of puppies enter homes, carrying their new family s expectation of a wonderful relationship. Sadly, many are re-homed or lose their lives as the result of behaviours which their owners find difficult to live with. Helping a puppy to grow into a resilient dog, capable of coping with the challenges of daily living, whilst retaining a good quality of life and exhibiting behaviours acceptable within society, is not an easy task. This book aims to simplify puppy education by presenting the skills that are required to achieve these goals within the context of everyday life. By enabling owners to incorporate teaching into each interaction they enjoy with their puppy, it not only becomes easier for them, but also enables the puppy to practice appropriate behaviour choices within day-to-day situations. By teaching skills such as self-control, respect for rules, and clear communication, owners can spend less time directing their dog, and more time enjoying their relationship with him, as he takes more control for his own good behaviour. Beautiful, specially-taken photographs illustrate the points made, and each chapter includes a worksheet to help owners chart their puppy’s progress. Why do owners wait until their dog becomes anxious when alone at home, before investing time in teaching him how to become comfortable alone? Owners often assume that their dog will sleep, yet many dogs suffer from anxiety and stress when left alone – and some owners only discover this when their dog becomes destructive, or a neighbour complains about his barking.Home alone and happy! was born out of the need to educate pet owners before the problems of separation anxiety arise. Written for those who wish to maintain their dog’s emotional well being, and those who want to take action before a very mild issue grows into something more serious. Kate Mallatratt shows you the problem through your dog’s eyes when he is alone at home, and offers you valuable insight and advice to help make his time alone pleasant and stress-free. Beautifully illustrated, with worksheets to evaluate your dog’s level of contentment and chart his progress, you’ll learn how you can both spend quality time alone, despite being apart. Dogs have shared our lives for thousands of years – to the benefit of both species. However, it’s only relatively recently that dogs, in many societies, have lived primarily as companions within the heart of the home. This close relationship, together with society’s expectations of dogs, can pose problems. All relationships have challenges, and where individuals of different species live closely together, these can be magnified, and misunderstandings occur. These can lead to fractures in the family/dog relationship, and, in some cases, result in dogs developing behaviours that are problematic for us. This unique book, written by professionals in the field, explains how and why many of these misunderstandings occur, and how we can work to resolve them. 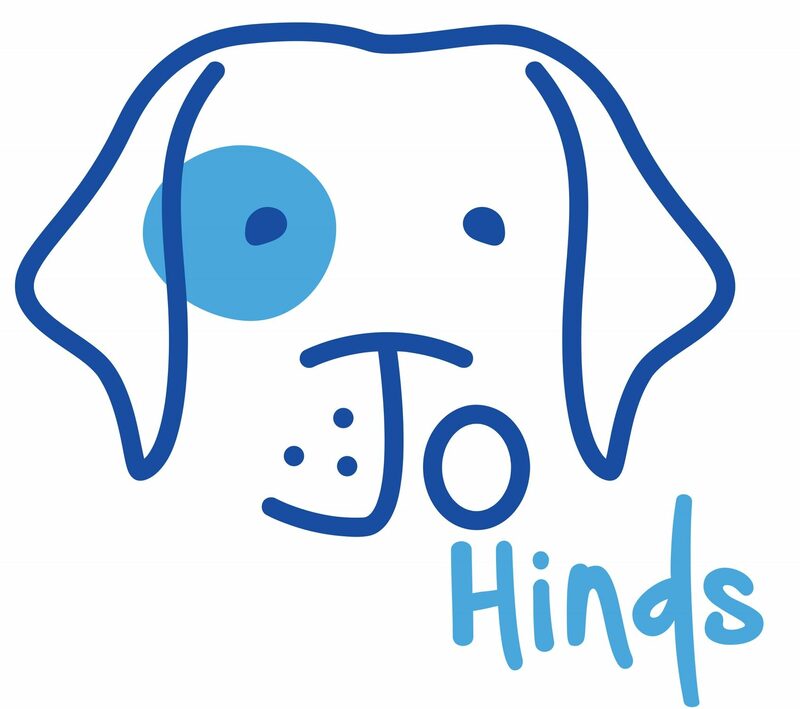 It aims to help us adjust the way we interact with our dogs, in order to help our dogs be well behaved, whilst at the same time enabling us to enjoy fulfilling relationships and a good quality of life with them. Especially commissioned images illustrate the text, and worksheets are provided to help owners focus on the areas where their dog and situation can benefit from applying the suggestions made. Children and dogs both benefit mentally and physically from a harmonious relationship. Dogs help to develop empathy and social skills in children, as well as build their confidence. It is, however, important to also develop this confidence in our dogs, and prepare them to be around babies and children. Bite prevention is vital, and, therefore, we need to teach our dogs and children how to behave correctly around and with each other. ‘Babies, Kids and Dogs’ will help you to create safe, positive and harmonious relationships between your children and your dog, and allow your dog to relax in the presence of children. Included within are instructional colour photographs, tables to assist with assessing and training your dog, and step-by-step training exercises. Educational illustrations of Charlie and Champ will also help engage your young children, in order to teach them about behaving appropriately when interacting with their canine friends. Throughout the book are ideas to promote safe interactions, and develop lifelong friendships. One for the kids a book written by myself. What Dogs Like is a book with an important message. Nearly 80 percent of dog bites are from the family or a friend’s dog. Written as a read-along rhyme with illustrations, What Dogs Like cleverly helps educate young people as well as their parents on how to behave around their canine friends. Treating separation anxiety in dogs is not quick or easy—but it can be done. The successful ingredients are cooperation, commitment and time on the part of the dog trainer and the owners. In this important new book, author Malena DeMartini-Price shares her 5 Phase Treatment Protocol and related strategies to help dogs overcome the fear of being left alone and addresses the trauma it can inflict on both the dog and their owners. One cold February night, a terrified feral dog was carried into the author s home, and began a very different life to everything he had previously known. This is the true story of the extraordinary bond that developed between Lisa and Charlie, a one-eyed Romanian feral dog, who had lived wild until he was captured and sent to the UK to be homed. Unused to the presence of people, Charlie had no coping skills other than to follow his instincts. Although Lisa had worked with many deeply troubled dogs, the challenges posed by Charlie s background were unique. Wild, fearful and highly reactive, more wolf than dog, Charlie needed a great deal of understanding, patience and compassion in order to help him adjust to his new life. Despite numerous obstacles and setbacks, the developing relationship between Charlie and Lisa, and Lisa s daughter, Amber, and resident dog, Skye, transformed all of their lives. Charlie s gradual shift from fearful feral to happy, affectionate, fun-loving family dog is touching and heart-warming, and clearly demonstrates the transformative power of love and kindness. Is the first book to reveal how you can fully understand and communicate with dogs, and how you can easily eliminate any behavior problems, based on new information about animal behavior. Each chapter explores the mind of the dog, its instincts, body language, how and why dogs respond to the people and animals around them, and the profound insights you can gain into what your dog is thinking and feeling through the simple process of observation. Enlightening (and entertaining! ), the book guides readers to look at life from your dog’s point of view, to understand what your dog is trying to tell you and why, and to notice what makes your pooch listen to you. Including real-life examples throughout the work, The Heartbeat at Your Feet explains how positive methods of behavior modification work more effectively (and permanently) than old dominance methods, which have now proven to be ineffective. As a canine psychologist and professional consultant to dog owners, Lisa Tenzin-Dolma explains compassionate ways of working with dogs and offers readers a guide to improving pet behavior and the relationship between you and your beloved pooch. Akin to Monty Roberts’s The Man Who Listens to Horses and going light-years beyond The Hidden Life of Dogs, this extraordinary book takes a radical new direction in understanding our life with canines and offers us astonishing new lessons about our pets. From changing the misbehaviors and habits that upset us, to seeing the world from their unique and natural perspective, to finding a deep connection with another being, BONES WOULD RAIN FROM THE SKY will help you receive an incomparable gift: a profound, lifelong relationship with the dog you love. Dogs that growl at other dogs, lunge at people and bark at everything are often labelled “aggressive.” Such fear-based behaviour is more appropriately called “reactivity” and these dogs can be helped with the exercises in this book. Well-illustrated with photos. Whether you have a newly adopted dog, a brand new pup, a challenging adolescent dog, or any age dog with behavior problems, Puppy Politeness Poker (PPP) can be helpful. PPP teaches your dog to be attentive and cooperative in return for real life rewards (RLR). Easy, quick interactions throughout the day create positive changes in the dog/human relationship. What the dog learns through PPP is simple and important: “You do this for me, I’ll do that for you.” Innovative trainer Suzanne Clothier (author of Bones Would Rain from the Sky) is well known for her Relationship Centered Training approach. In ATTENTIVE COOPERATION, her usual humor and thorough understanding of dogs is obvious. She provides practical, sensible and humane advice, while keeping the dog/human relationship central at all times. A fresh look at what goes on inside the minds of dogs “that causes one’s dog-loving heart to flutter with astonishment and gratitude” (The New York Times Book Review)–from a cognitive scientist with a background at The New Yorker. As one of the millions of dog owners in America, Horowitz is naturally curious to learn what her dog thinks about and knows. And as a scientist, she is intent on understanding the minds of animals that cannot speak for themselves. Now, in clear, crisp prose, Horowitz introduces the reader to dogs’ perceptual and cognitive abilities and then reveals what it might be like to be a dog. How many of us have wondered what it must be like for a dog to experience life from two feet off the ground, amidst the smells of the sidewalk, gazing at our ankles or knees? How does a tiny dog manage to play successfully with a Great Dane? Why must a person on a bicycle be chased? Inside of a Dog explains these things and much more, and the answers are both delightful and surprising. It also contains up-to-the-minute research on dogs’ detection of disease, the secrets of their tails, and their skill at reading our attention that Horowitz puts into useful context. With a light touch and the weight of science behind her, Alexandra Horowitz examines the familiar but mysterious animal we think we know best but may actually understand the least, and explains how dogs perceive their daily worlds, each other, and that other quirky animal–the human.